Shauna Fenwick is a Leads Learning scholar practitioner who supports leaders and leadership development in health systems. She was the coordinator of the research project that resulted in the development of the LEADS framework and subsequently worked with Leaders for Life for 3 years as the project manager and learning services coordinator. The LEADS in a Caring Environment has become widely known and adopted by health systems organizations in Canada. The appeal of the framework is rooted its memorability, and its utility in guiding both leadership practice and development. The 5 domains: Lead Self, Engage Others, Achieve Results, Develop Coalitions and Systems Transformation and the acronym LEADS offer a way of making sense of leadership practice in the moment and designing leadership development for the future. The initial research project was conducted in BC in 2006. The research grew out of a series of symposia and conversations with senior health leaders, government, educational institutions and professional bodies regarding the challenge of preparing sufficient numbers of leaders prepared to lead complex, 21st century health systems. At that time, the 6 provincial health authorities and the government health ministry were all at different places in terms of articulating leadership in their own organizations and in developing leaders internally. The Leaders for Life project was initiated to develop a province wide approach to leadership development that would honour the existing development work of employers while creating a system-wide strategy and process for developing future leaders. This system wide vision was a tall order. Leaders for Life stakeholders were clear – they wanted something that would facilitate, not prescribe any individual or organization’s approach to leadership development. They were looking for an integrative model or overarching framework of competencies that was applicable across the diversity of health care settings, disciplines and leadership levels. Stakeholders wanted a model that respected the autonomy of individual organizations and was also inclusive of the leadership domains important to the system as a whole. Research project informants were also looking for a common language about leadership. They believed that a common language would facilitate conversations about leadership across organizations, so that front line staff, middle managers and senior leaders would understand each other when talking about the leadership required in their organization. A common language would also facilitate collaboration on development activities across organizations. The elegance of the LEADS framework is that most leadership development needs and resources can easily be mapped to it. In this sense the framework is an organizing structure, one that provides a frame of reference much like a blue print or floor plan to guide individuals and organizations looking for ways to coordinate leadership learning activities in a coherent manner. The framework is a guide that is flexible enough for organizations to align leadership development activities with their strategic directions. Similarly, individual leaders, whether emerging or mid-career can easily use the framework to map out their next development steps. For example, in the domain Lead Self you will find the capability Self Awareness. This capability states that leaders are aware of their own assumptions, values, principles, strengths and limitations. Using this capability as a guide, individuals and organizations are free to select the instruments and processes that will foster self awareness of leaders. Different organizations will approach developing the self awareness of leaders according to their own culture and strategic orientation. Some might use the theoretical guidance of Senge (personal mastery, mental models) others will choose a strength based approach (Rath & Conchie), others will choose to build emotional intelligence of leaders (Goleman). The utility of the framework comes in its ability to support and integrate a broad range of theoretical approaches to leading. 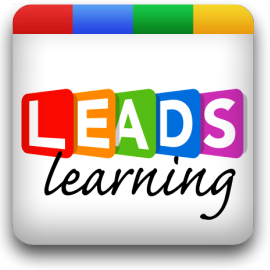 LEADS provides a map or scaffolding upon which you can customize your own development as a leader or organization based upon your vision for yourself as a leader and your organization’s direction. Stay tuned for a series of LEADS based questions that can help you lead a workplace change.